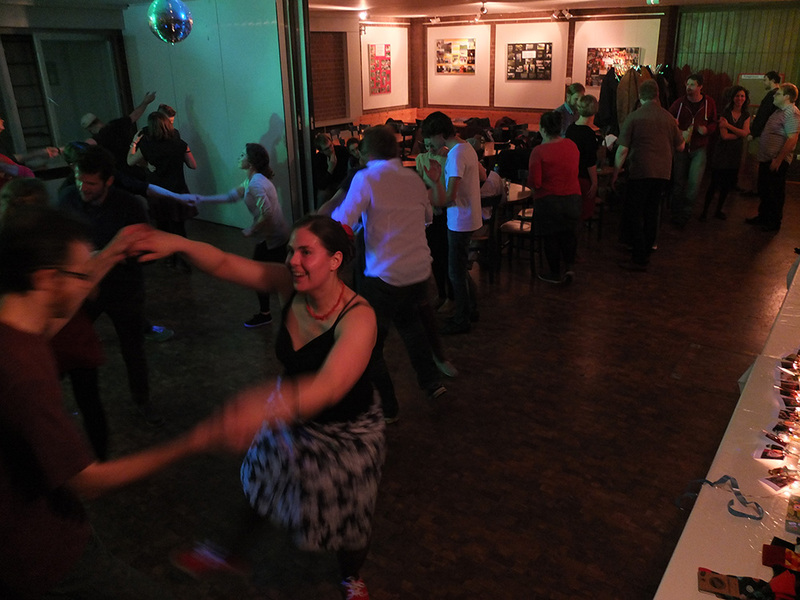 A while ago a bunch of dance addicts and swing nerds took over the cosy rooms of the KHG Kellerbar Erlangen to spread the joy of Lindy Hop, Blues and other swing dances. 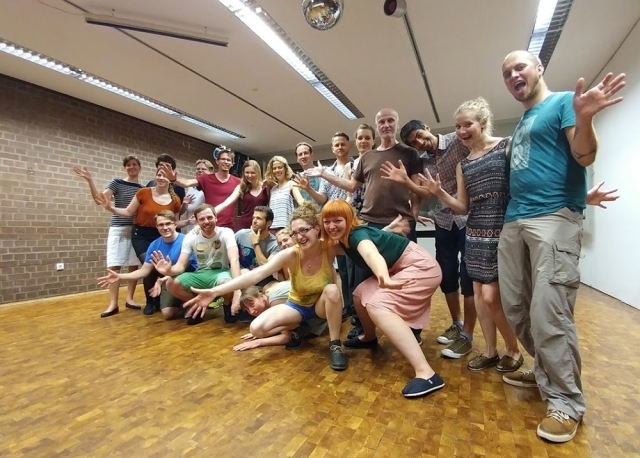 They are now thrilled to offer weekly Lindy Hop classes plus a well-attended weekly social dance, as well as several taster classes throughout the semester breaks. We want to teach our students more than a by-heart-set of steps and figures – more importantly we are focusing on getting the very unique feeling of Lindy Hop and Swing music, and learn a solid technique of leading and following to maximize expression and fun with our partner. There is no dance partner required in our classes. 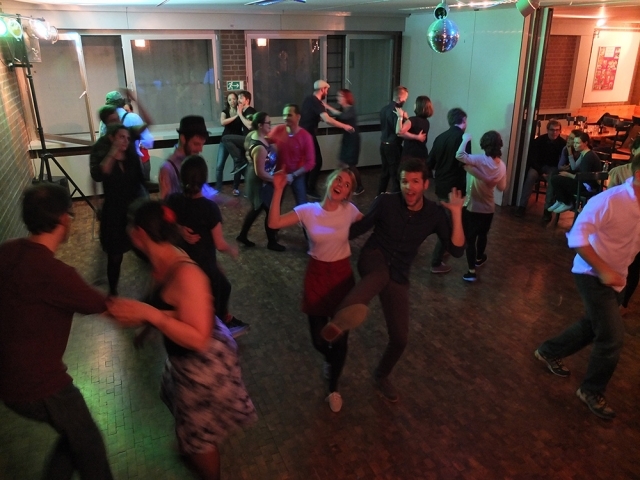 For a taste of Lindy Hop come to the first class and check it out – you can register and pay at the second class. 25 € for students and non-earners, 35 € for other participants / wage-earners. We will start right from the beginning and build up the material and difficulty. No prior knowledge required. Also recommended for dancers who want to refresh their Lindy Hop basic knowledge and skills. After completing both blocks, you can move forward to our beginner-intermediate level (level 2). In each block we teach a different set of basics. You can start with either block. a) have knowledge of the basic vocabulary: bounce, 6-count, 8-count, lindy charleston basic; swing out. Basic body control: You can dance the basic step with triple steps effortlessly and you are able to keep the bounce. Basic Lead & Follow: You can keep a good connection with your partner for leading and following steps, shapes and directions. Basic Performance: You can hear the changes in a song and you are beginning to make your dance fit to the music. 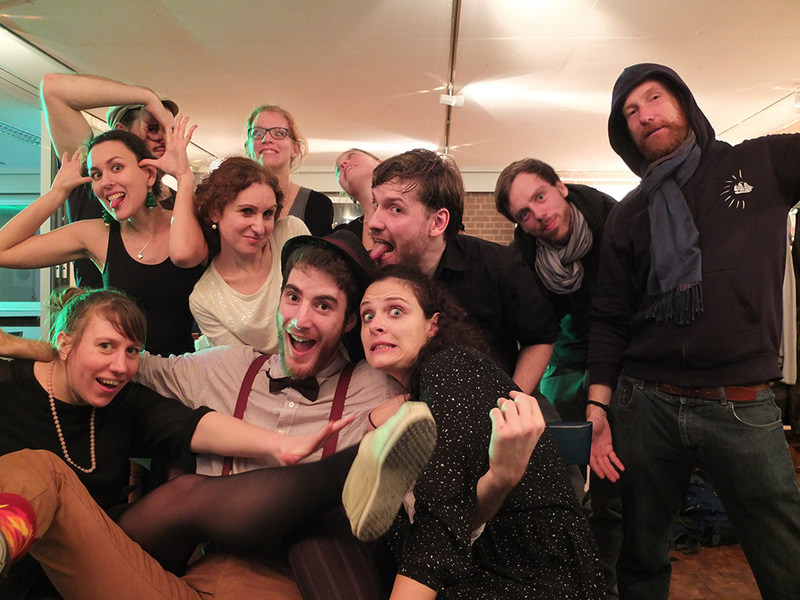 b) have completed our level 1 (block A and B) of lindy hop or a similar class somewhere else and have been seen regularly on the social dance floor. good knowledge of the basic vocabulary: 6-count, 8-count, lindy charleston basic; swing out and variations, common lindy and charleston figures. Basic body control: You have relaxed arms and hands and don’t squeeze your partner with your hands or arms. You can keep a steady bounce and your own balance. Basic Lead & Follow: You can comfortably lead/follow the difference between triple and step steps. You consciously lead/follow directions and shapes through your connection. Basic Performance: You can resist looking down at your feet. You can smile while doing the moves :] You are able to follow the basic structural changes of a song and dance to the music. Wednesdays at KHG Kellerbar, the dance begins right after the last class class and we usually finish between 23:00 and 00:30h. Please check the calendar for dates, for breaks and other events, such as taster classes.